SUPPORT YOUR LOCAL BASKETBALL TEAM! 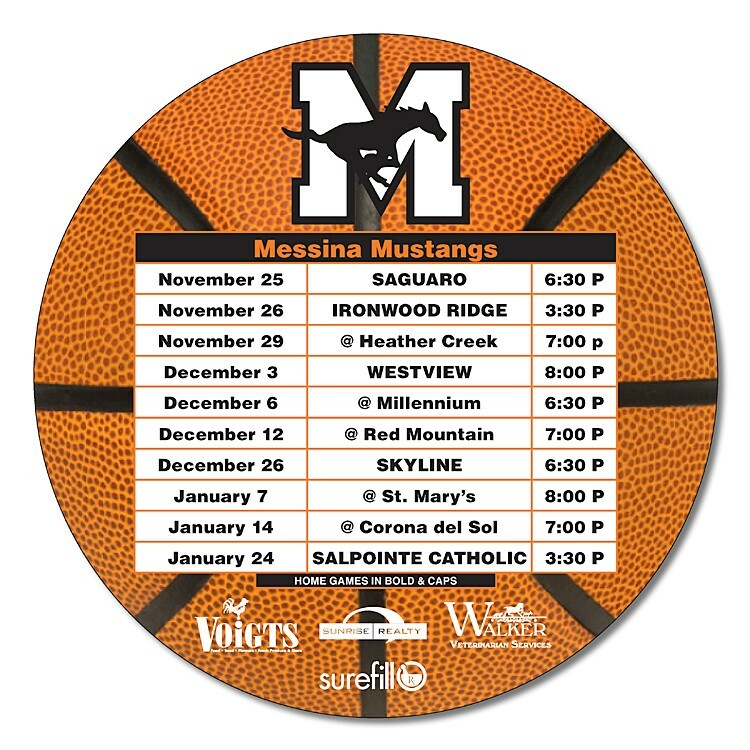 Personalized with your services and contact information, circle shape schedule magnets are an effective marketing tool. Magnets keep selling long after other products have been tossed away and forgotten. Perfect for schools, universities, colleges, booster clubs, school sport programs, summer leagues, summer athletic camps, high school sport schedules, sport recognition, college athletic schedule, announcements, athletics, etc.